The recent snowfall and icy weather continues to cause disruption in certain parts of the country, but we are pleased to advise that Childrens Bed Centres deliveries are still getting through. 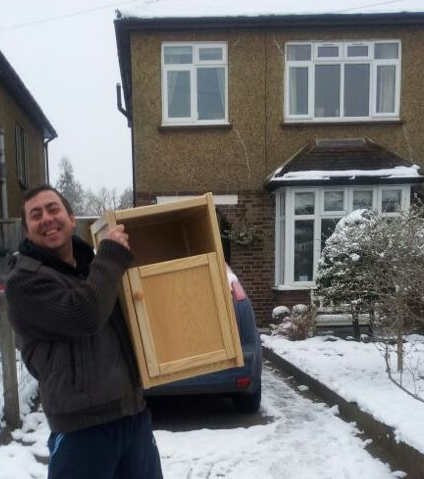 The Childrens Bed Centres delivery team in the Surrey and Berkshire area today battle through the snow to deliver our kids beds and children's bedroom furniture. Today the team will deliver: kids cabin beds, storage beds, children’s wardrobes, bookcases, small wardrobes, kids mattresses and bedside cupboards (wooden bedside cupboard pictured).